So, you have set the date for your big day, but how do you ensure your guests will reserve that special day? We answer all the commonly asked questions about ‘Save the date’ etiquette. We’ve got the next 12 months sorted ladies! Have a look at our ultimate planning timeline and keep reading to discover some industry tips for the big day. 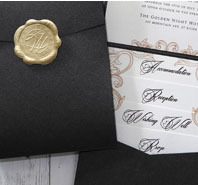 It can be difficult deciphering the ever so vague dress codes on invitations. That’s why we’ve done a complete breakdown of every possible dress code that you might come across during wedding season! Let your nails shine just as bright as that stunning rock on your engagement ring! Follow our industry tips and tricks to get your claws perfectly preened for your big day. No need to be watching Say Yes to the Dress! Just follow our easy guide to find the perfect gown for your body shape.